Bonny Reservoir, once a popular camping, boating and fishing destination located in extreme southeastern Yuma County, was drained years ago to help Colorado get into compliance with the Republican River Compact with Kansas and Nebraska. However, efforts by a coalition of county governments and other organizations — named the South Fork Republican River Restoration Coalition — still remain underway to at least partially restore it to its formal usage. There have been a series of public meetings since last year. The next is being planned for Thursday, March 14, in a joint meeting with the Colorado Agriculture Preservation Association. It will be at Idalia School from 5 to 6:30 p.m., followed by CAPA’s annual meeting. The coalition has been working on the project for the past two years. Yuma County and Kit Carson County are part of the group, along with Three Rivers Alliance, the Republican River Water Conservation District, Colorado Parks & Wildlife and The Nature Conservancy. Yuma County Commissioner Robin Wiley told the Pioneer he believes the group is making headway in a positive direction. 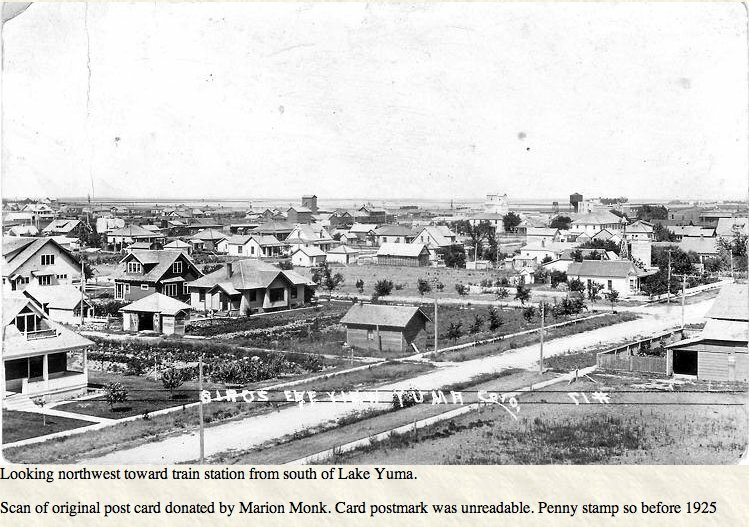 He stressed that plans do include necessarily refilling the lake, but restoring the stream flow and possibly establishing some non-water and small water recreational activities in and around the old lake bed. The coalition secured a grant in January 2018 from the Colorado Water Conservation Board for $99,000, with The Nature Conservancy giving the cash match. Wiley said the money is being used to do Phase I of the project, planning and design. The coalition has hired Otak Engineering to do channel design and engineering. A firm named Stillwater is doing the habitat restoration planning, and CHM has been hired to do an economic analysis of possible recreational activities. It had a landowner meeting last August in Idalia to tell the landowners, up and down the South Fork of the Republican River, what the coalition is trying to do and ask for their cooperation. Last November there were two meetings, one in Idalia and one in Burlington, to get input from the public on the project. Now comes the March 14 meeting in Idalia. All interested members of the public are invited to attend. Bonney Reservoir back in the day. Photo credit: Colorado Parks and Wildlife. Bonney Reservoir back in the day. Water is a contradiction for Western Nebraska. It’s both seemingly abundant, yet simultaneously finite and scarce. A new film by a local award-winning documentary filmmaker explores this contradiction and tells the story of water in the Panhandle, from the founding of the numerous irrigation and natural resources districts that line the North Platte valley, to the legal fights surrounding the regulation, distribution and control of that water. Insight Creative Independent Productions Executive Producer and Director Becky McMillen’s “Rising Water,” was originally designed to be a web series, and viewers will get a first peek at it when the film premiers at the Legacy of the Plains Museum in Gering on Saturday, March 2, at 1 p.m. The screening of the documentary is in conjunction with The Smithsonian’s Museum on Main Street the Water/Ways” exhibit, which is open now until April 13 at Legacy. In essence, each of the segments of the film is a self-contained documentary which covers a different facet of the story of our water, she said. The hour and fifteen minute feature is the product of more than three solid years of work, with much of the footage and information gathered over a greater period of time. McMillen said that her father, Udell Hughes Sr., helped her with much of the technical research for the film. It also contains material gathered during production of McMillen’s last major project, “River of Time: Wyoming’s Evolving North Platte River,” a half-hour program which premiered on Wyoming PBS in November 2012. The film contains interviews with managers of irrigation districts, farmers, UNL researchers and footage from public hearings concerning water issues. “I knew that I needed to talk about the Ogallala Aquifer, but it took me a while to understand that issue,” McMillen said. So she consulted UNL research hydrogeologist Jim Goeke, who is known as “Mr. Water.” Goeke researched the aquifer and arguably knows more about the water under our feet than any other human being. McMillen said she was surprised by how candid Goeke. The challenge for McMillen was to tie together the surface water and ground water portions of the story. 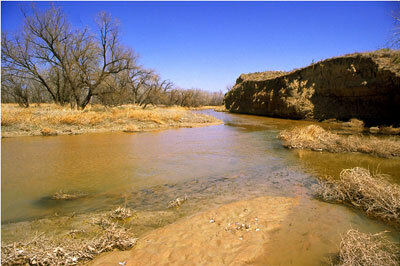 And it was a lawsuit over the little western Nebraska stream that became a big State Supreme Court case. In 2009 The Spear T Ranch settled with more than a dozen upstream ranchers and farmers in a dispute between irrigators feuding over water in Pumpkin Creek. Then synchronicity struck. McMillen’s bookkeeper was from the Spear T Ranch, and the family over time had saved all of the newspaper clippings about the fight. And the hunger for investigative work is what fuels most of her projects. McMillen said a lot of the project has been self-funded because she couldn’t kick the habit once a lead seemed promising. Newspapers also provided McMillen a window into the issues. As the “first draft of history,” clippings are featured at prominent portions of the film. Another portion of the film is spent exploring contamination concerns, especially the 2015 fight against a Colorado company who sought permission to use an abandoned oil well in Sioux County as a wastewater disposal site. Sioux County landowners eventually won their appeal and state lawmakers reformed the process in which permits are granted. And those are the little things, McMillen said. And over the course of making the film McMillen said that she’s learned that there needs to be change to protect and preserve not only the Valley’s greatest gift, but the way of life for Farmers and Ranchers who live here. It was her discussions with farmers that drove home the point for her. And at the same time, caution needs to be exercised when employing solutions, she said. “What we think are the solutions are not always the best way of doing things,” she said. “We can’t just blindly forge ahead just because we think it’s a good idea. At the time we’re looking at sustainable energy, we’re also wanting to put it in places that will never be the same. The Ogallala Aquifer underlies parts of Colorado, Kansas, Nebraska, New Mexico, Oklahoma, South Dakota, Texas, and Wyoming. From wheat and cows to corn and cotton, the regional economy depends almost exclusively on agriculture irrigated by Ogallala groundwater. But according to the Fourth National Climate Assessment (NCA4), producers are extracting water faster than it is being replenished, which means that parts of the Ogallala Aquifer should be considered a nonrenewable resource. 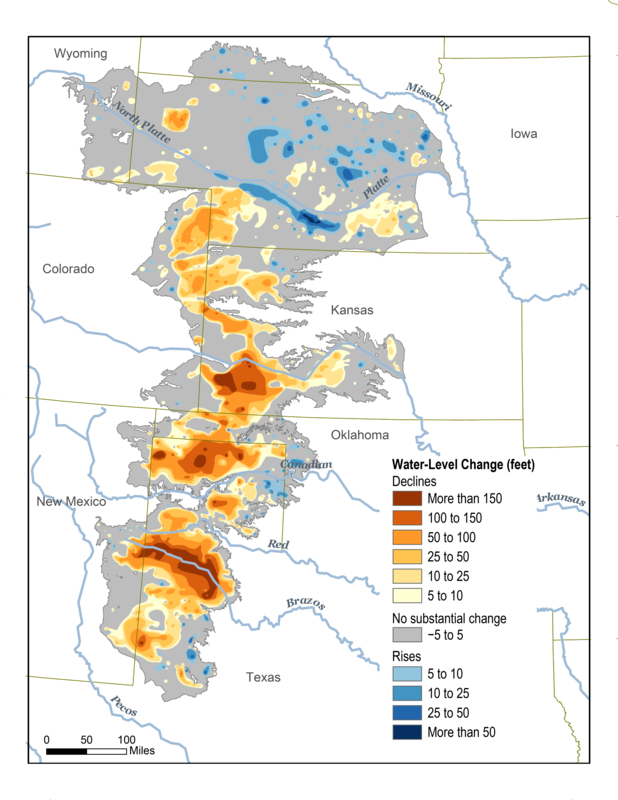 This map shows changes in Ogallala water levels from the period before the aquifer was tapped to 2015. Declining levels appear in red and orange, and rising levels appear in shades of blue. The darker the color, the greater the change. Gray indicates no significant change. Although water levels have actually risen in some areas, especially Nebraska, water levels are mostly in decline, namely from Kansas southward. In the early twentieth century, farmers converted large stretches of the Great Plains from grassland to cropland. Drought and stress on the soils led to the 1930s Dust Bowl. Better soil conservation and irrigation techniques tamed the dust and boosted the regional economy. In 2007, the market value from the Ogallala region’s agricultural products totaled roughly $35 billion. However, well outputs in the central and southern parts of the aquifer are declining due to excessive pumping, and prolonged droughts have parched the area, bringing back Dust Bowl-style storms, according to the NCA4. Global warming is likely to make droughts across the Ogallala region longer lasting and more intense over the next 50 years. The Office of the State Engineer has filed the proposed Republican River Compact Water Use Rules with Water Court Division 1 in Greeley. The filing was made last Friday, January 11. The process for developing the rules included several public meetings with a special advisory committee. It was comprised of volunteers representing users and interests throughout the Republican River Basin. The meetings took place within the basin, and the last one was last August. As drafted, the rules allow the state to administer surface water and groundwater wells for compliance with the 1942 Republican River Compact. It includes the state engineer’s ability to curtail wells, which means issuing a cease and desist. However, Deb Daniel, the general manager for the Republican River Water Conservation District, noted that wells that are within the Republican River Domain and have an augmentation plan are protected from curtailment. That means all wells located with the Republican River Water Conservation District are protected, due to the district’s augmentation efforts such as the compact compliance pipeline, purchasing surface water rights, and providing financial incentives for well owners to voluntarily retire their wells, such as through CREP and EQIP conservation programs. 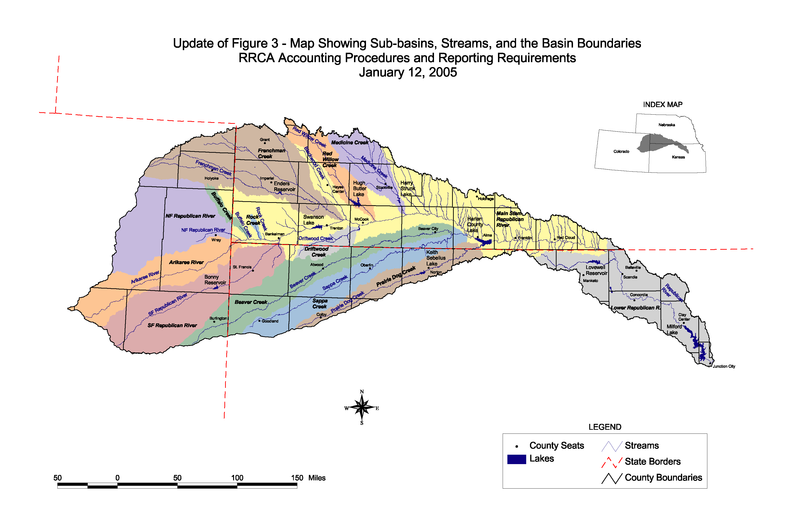 However, the Republican River Domain boundary is different than the RRWCD boundary, so there are some wells that currently are not protected from the potential curtailment. There is legislation currently before the Colorado State Legislature that will expand the RRWCD’s boundary to including all of the Republican River Domain. Division 1 Water Court will have to rule on the proposed rules before they go into effect. Well owners can make filings for or against the proposed rules with the water court. The case number is 2019CW 3002. One can learn more about the rules at the Colorado Division of Water Resources website, http://water.state.co.us. The Republican River Water Conservation District (RRWCD) acting through its Water Activity Enterprise (RRWCD-WAE) will again partner with NRCS to encourage water conservation and provide incentives to producers that voluntarily implement water conservation measures. Since the Ogallaa Aquifer Initiative (OAI) sunset with the end of the 2014 Farm Bill, the RRWCD will partner with NRCS through the Environmental Quality Incentives Program (EQIP) to help producers transition from irrigated to drylands agriculture or grassland. The RRWCD founding will augment NRCS funding to producers that voluntarily agree to permanently retire irrigation wells and convert the irrigated cropland to drylands farming or grazing land. NRCS will provide approximately two hundred fifty dollars ($250.00) per acre to producers that enroll in the permanent water retirement program. The RRWCD will provide additional incentives of between six hundred ($600.00) and one thousand five hundred dollars ($1,500) per acre depending on the location of the well within the District boundary. 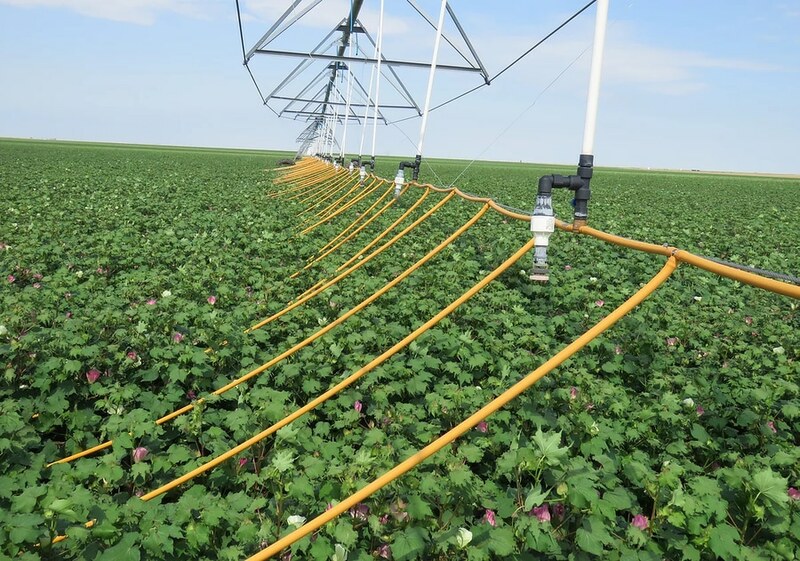 Water conservation measures such as weather stations, soil moisture monitoring and conversion from sprinkler irrigation to a more efficient irrigation system can contribute substantially to prolonging the life of the quiver, while maintaining a strong irrigated agricultural economy. The EQIP program also provides these additional voluntary incentive based tools that all producers can use to prolong the life of this aquifer. The RRWCD has consulted with groundwater management districts, the Water Preservation Partnership, and others to develop strategies to assist producers through financial incentives to voluntarily reduce water consumption. Several surveys distributed throughout the District to producers have indicated that voluntary, incentive based programs were preferred over regulatory water restrictions. It is important that each and every irrigated agriculture producer evaluate their individual irrigation practices to determine if they can help reduce the impact on the aquifer by implementing one or more of these conservations practices. The deadline for application for EQIP is January 18, 2019 so please contact your local NRCS office at https://www.nrcs.usda.gov/wps/portal/nrcs/site/co/home/ or the RRWCD office in Wray, Colorado, at 970-332-3552 as soon as possible if you wish to apply for conservation funding through this program. The Republican River Water Conservation District Board of Directors will have a public hearing on the proposed new water use fee policy during its regular quarterly meeting, Thursday, January 10, in Burlington. The meeting will be held at the Burlington Community and Educational Center, 340 S. 14th St., beginning at 10 a.m. The public hearing on the proposed new water use fee policy will be at 1 p.m.
RRWCD General Manager Deb Daniel said the proposed policy would not change the fee for irrigation, while municipal and commercial wells would have a minimal reduction in the fee per acre feet pumped. Junior surface water right fees would be based on comparing the impact on compact compliance of diversions of surface water for irrigation as compared to the impact of groundwater withdrawals. Daniel said the proposed policy addresses the fees charged by the RRWCD for compact compliance, based on the impact each type of use and consumption has on the determination of Colorado’s compliance with the Republican River Compact as determined by the RRCA Accounting Procedures. Public comment will be heard immediately following the water use fee public hearing. Besides the regular reports, the board will hear a presentation from Mark Lengel about concerns on the South Fork. The board also will discuss South Fork Water Rights. For more information, please contact Daniel at 332-3552 or email her at deb.daniel@rrwcd.com.